Mexico has the fastest-growing wind power industry in the world, making it an important case study in the first steps of a global transition towards renewable energy. 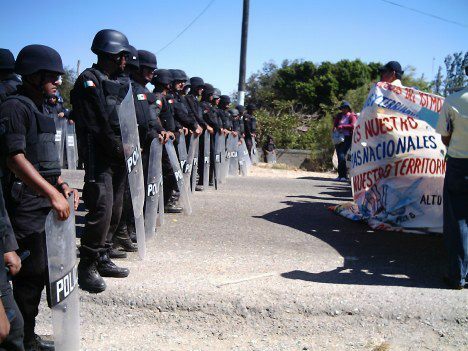 However, in the windy Isthmus region of Oaxaca, this rapid growth has been accompanied by ongoing conflict and social unrest that puts the future of these projects in jeopardy. 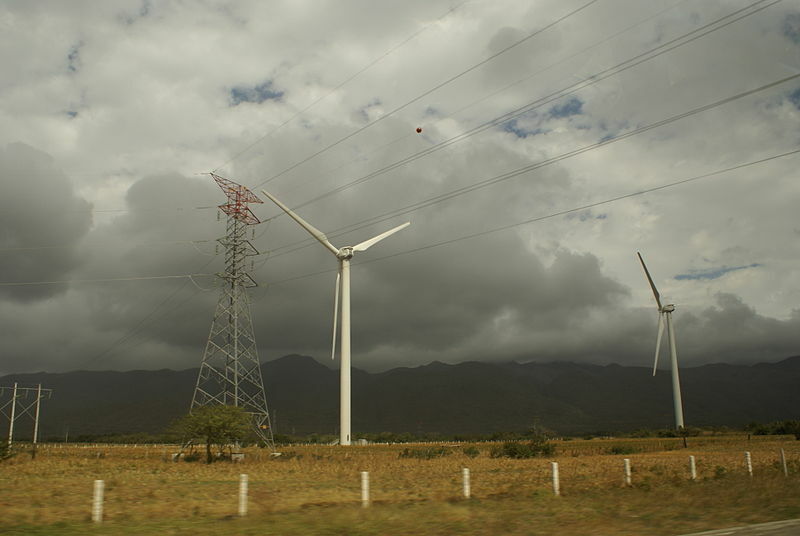 For the past two years, members of the small town San Dionisio del Mar, located on Mexico’s southern Pacific coast, have campaigned against the construction of a wind farm on more than 600 hectares of communally owned land. They have demanded the cancellation of land permits issued by the local council in 2004. The Ikoots, or Huave, are a fishing society. The proposed wind farm would include the installation of more than 100 wind turbines on a thin spit of land in San Dionisio del Mar, which locals fear would disrupt the aquatic life they rely on for their livelihoods. Heavy trucks used in the construction of the wind parks have already caused damage to local highways. There are also concerns that the turbines would disturb bird migration patterns. The past year has been characterized by increasingly violent confrontations between supporters and opponents of the wind energy project. Opposition leaders have received death threats and several people have been injured in clashes with local police. Other communities in the Isthmus region have also experienced conflict over wind farms, including arson attacks on protest camps and an attempted kidnapping late last year. The 396-megawatt project in San Dionisio del Mar, backed by a transnational consortium including Australian investment bank Macquarie, Japanese company Mitsubishi and Dutch pension fund PGGM, was paralysed during 2013 by ongoing protests and blockades. Then in January 2014, PGGM spokesperson Maurice Wilbrink announced the ‘death’ of the project in an interview with a Dutch publication. However, while local wind farm opponents have celebrated this apparent victory, it seems the project is not being shelved entirely. Wilbrink indicated there are plans to move the wind farm to an area approximately 40 kilometres north-west of San Dionisio del Mar. Information filed with the Mexican Stock Exchange in March 2014 also reveals that Macquarie still sees the project as a live venture. The bank attributes delays in the project to ‘minority opposition groups’, but has once again extended agreements with lenders and contractors, this time until the end of May 2014. ‘Is eco-capitalism, or green capitalism, possible?’ Mexican academic Victor Toledo asked in a recent article for periodical La Jornada. He continues, ‘Can a company be successful while maintaining rigorous practices that do not affect the environment?’ In Mexico, Toledo suggests that the answers to these questions are resoundingly negative. Over the past 20 years in Oaxaca, as in other parts of Mexico, we have seen the rise of a development model that favours foreign companies over indigenous communities. At best, this results in gridlock; at worst it can lead to violent conflict and even death. Many of the indigenous communities in the Isthmus are not against development per se. Rather, many of them have their own vision of sustainable development that fits with their cultural and spiritual world views. Increasingly, these communities are connecting and sharing their experiences with each other. This means that we can expect to see more frequent and better-organized resistance to large-scale industrial development projects. The situation in the Isthmus of Oaxaca raises serious questions about whether the transition to renewable energy, when carried out at such an industrial scale and break-neck pace, can be reconciled with local rights. Smaller, community-led wind energy projects in Europe and the US have had promising results, and may offer a better chance of long-term success. In Mexico, too, there is growing recognition that using the methods we have come to expect from the mining and extractive sectors is unlikely to pave the way to a greener future. The Mexican Federal Electricity Commission has cancelled tenders for new industrial wind parks in the Isthmus region, due to the ongoing conflict between foreign companies and local communities. From 28 February to 1 March 2014, community members and organizations from the Isthmus region attended the Regional Forum in Defence of Our Land and Territory. Attendees were united in their stance against what they see as the theft of their ancestral land to line the pockets of distant corporations.